Using a different currency? Click here to view our prices in your currency. This is the Solution for me. I use Aerosofts VFR Germany Terrain, but it have no night Textures, so til i saw this amazing solution here i had to switch the scenery between day and night. 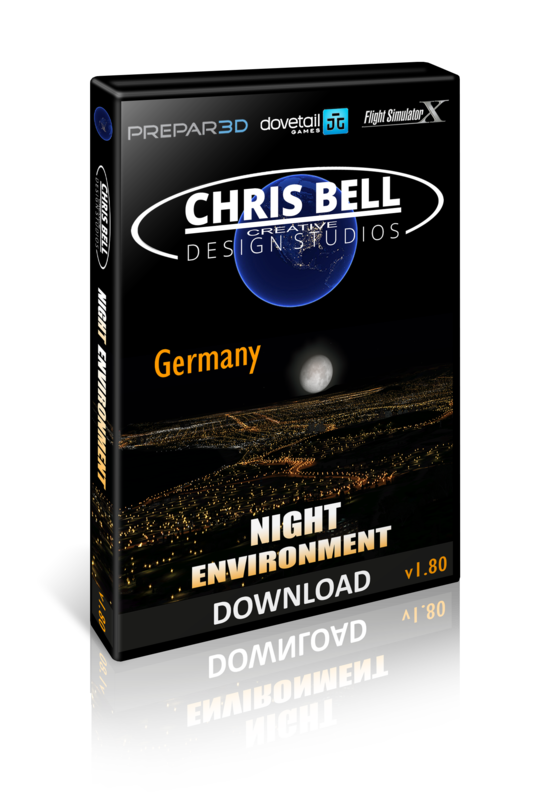 Night Environment Germany lighten up my VFR Germany Scenery and give it Nightlights i never saw before in Flight Simulator. Love to fly with this Nightlights in VR too, its really amazing!